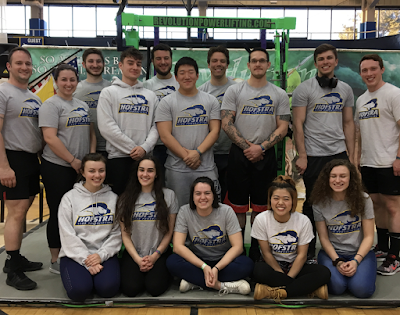 Club Powerlifting hosted the 2018 Revolution Powerlifting Syndicate Dominion Meet on Saturday, March 17th and Sunday, March 18th at the Hofstra Fitness Center. 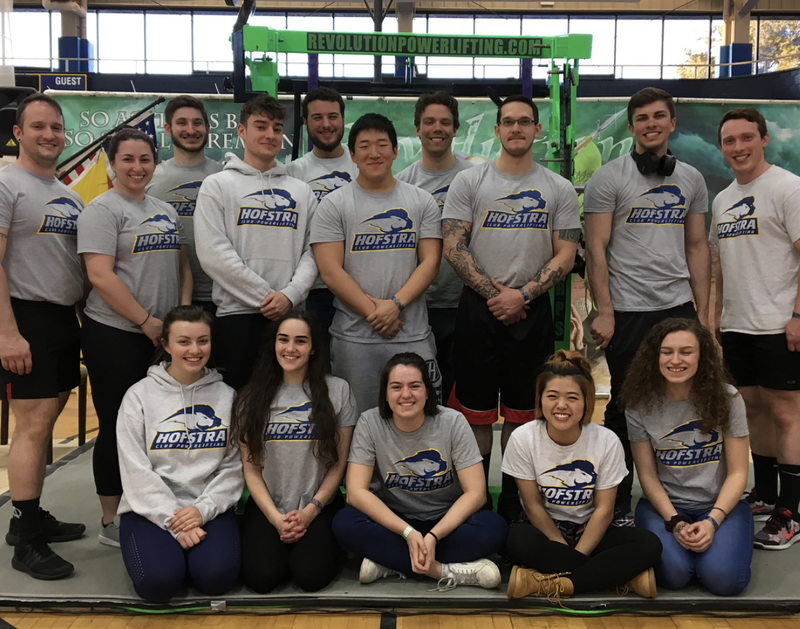 All competing Hofstra powerlifters placed in their respective classes. Helen Copp placed first for female teen 148 weight class with a total lift of 560 pounds. Teale Armknecht placed first for female junior 148 weight class with a total lift of 430 pounds. Jesse Kellogg placed second for male teen 198 weight class with a total lift of 965 pounds. Andrew Sciglimpaglia placed first for male teen 242 weight class with a total lift of 940 pounds. Jesse Stewart placed first for male junior 198 weight class with a total lift of 825 pounds. Club Equestrian traveled to Olde Towne Equestrian Center in Selden, New York on Sunday, March 18th for a show. Hannah Matuszak placed 2nd in advanced walk, trot, canter and Lauren Jenkins placed 6th in beginner walk, trot, canter. 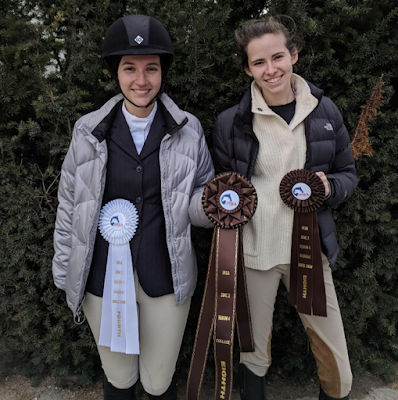 On Sunday, March 25th, the team competed at Regionals at the North Shore Equestrian Center in Greenvale, New York. Hofstra placed 8th in the region as a team. Club Running traveled to St. John's University in Queens, New York on Sunday, March 25th to compete in the NIRCA Northeast Regional Championship. Ryan Connell was the top finisher for the Pride, as he placed 4th in the 800-meter run with a time of 2:06. The fourth-place finish gave the Pride their only team points on the day as they finished in tenth place as a team. Courtney Gallagher competed in the 5,000-meter run on the women's side. Gallagher finished tenth in the 5K with a time of 24:06. Club Billiards went up against the first place in their division at the Raxx Pool Hall in West Hempstead, New York on Sunday, March 18th. Hofstra won the match 10-2 and cut their deficit in the division to nine points with three weeks remaining in the regular season. The club next traveled to Baldwin Billiards in Baldwin, New York on Sunday, March 25th to compete in their weekly match. The Pride fell 8-5, but Steve Jacobovitz and Colin McGuire each won their matches. Two weeks remain in the regular season before the playoffs begin. Club Rock Climbing traveled to the Gravity Vault for their weekly climb in Melville, New York on Friday, March 16th. The Department of Campus Recreation is selling gear to raise money for St. Baldrick's. Please visit our team shop here: https://goo.gl/4Nz98x and help support a great cause! In a short amount of time, Helen has established herself as one of the leaders of the Hofstra Powerlifting Club. She has pushed herself time and time again to succeed as a powerlifter and as Vice President of the club. At the RPS Dominion Meet, Helen placed first in the Women’s Raw Classic Teen division. · Club Women's Lacrosse vs. Yale and URI, New Haven, CT.
· Club Women's Rugby at Princeton 7s, Princeton University, Princeton, NJ. · Club Billiards Weekly Match, Raxx Pool Hall, West Hempstead, NY-7:00pm.